Last year my daughter took me for lunch to a beautiful pizza spot in Barranco, one of my favorite neighborhoods in Lima. 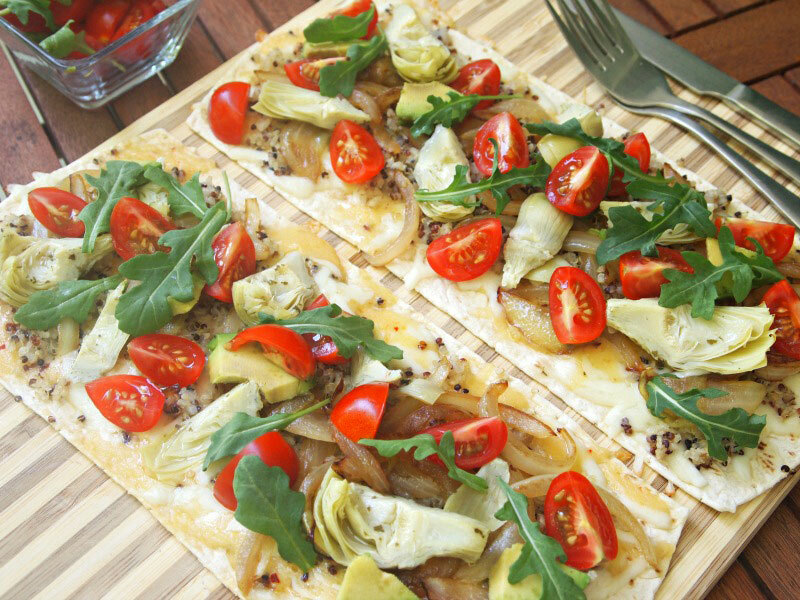 The super thin pizza crust and the originality and playfulness of the colorful toppings inspired me to create many healthy and delicious homemade pizzas after that. 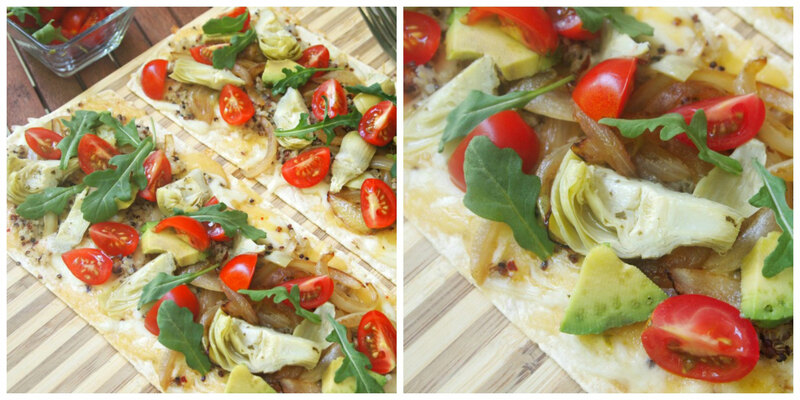 And eventually, after many trials, I found the perfect crust for my creations: Flatout Flatbread. 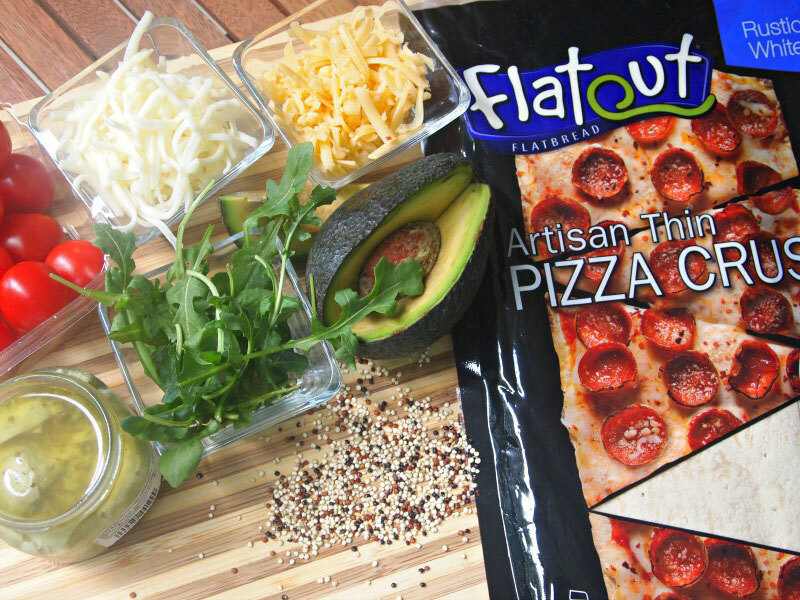 The Artisan Thin Pizza Crust is really thin, tasty, and has less calories and carbs than the average pizza crust, proving that less is more. Ever since I tried it, I’ve been hooked! When I want to add a Latin twist to my pizzas I make these Andean pizzas with quinoa and veggies. So easy! I just add cooked and raw vegetables (because I like the texture each of them adds), and I use different kinds of cheese and Andean herbs, like huacatay and paico. If I’m not in Peru, then I use arugula instead (which I love). And the secret ingredient here is the quinoa, one of my favorite grains in the world (which is in fact not a grain but a seed, but it looks and tastes like a grain). Want to Peruvianize these pizzas even more? Feel free to use purple or blue potatoes, ollucos if you can find them, or chili peppers like rocoto. Having this pizza crust in my pantry is like having a white canvas. Delicious pizzas or appetizers will be ready in the blink of an eye, and I can be as creative as I want. To find it in a store near to you go to this link. Heat the oven to 375F. Put the pizza crusts in a large baking tin (or two small ones). 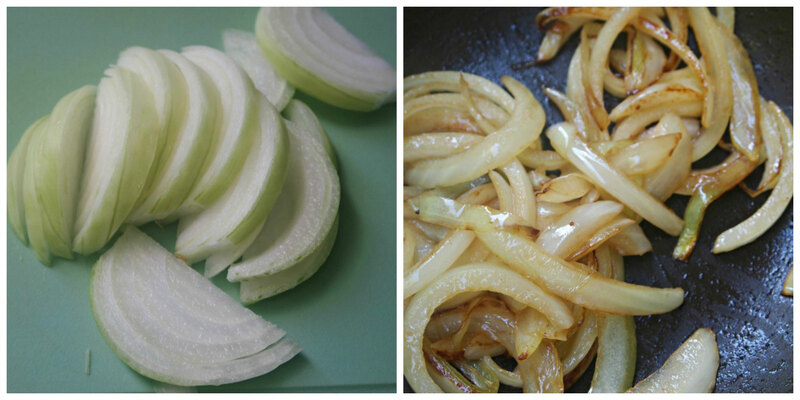 In the meantime heat the olive oil in a skillet and fry the onion until lightly golden brown. 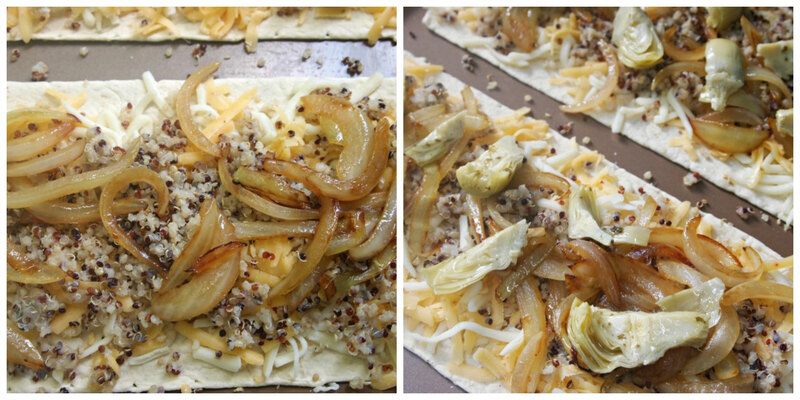 Top the pizza crust with the cheese and the fried onion. 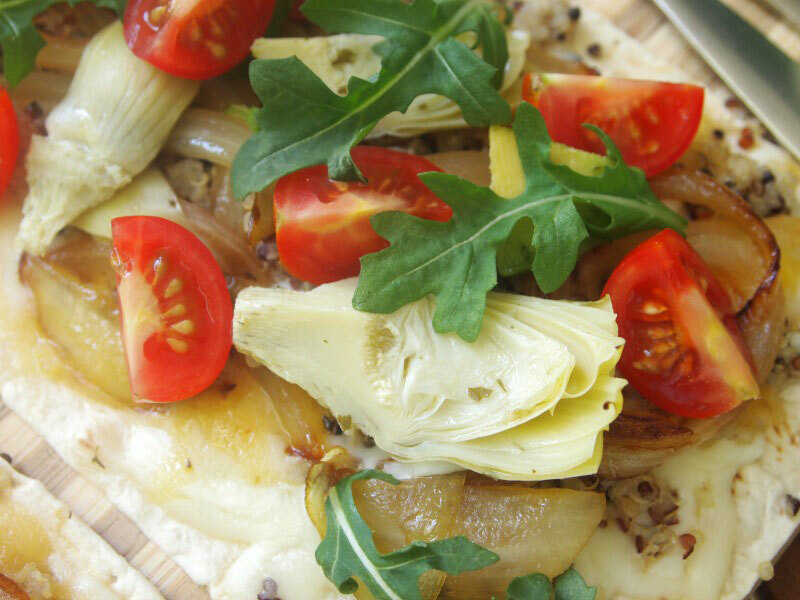 Sprinkle the cooked quinoa on top, and the artichokes. 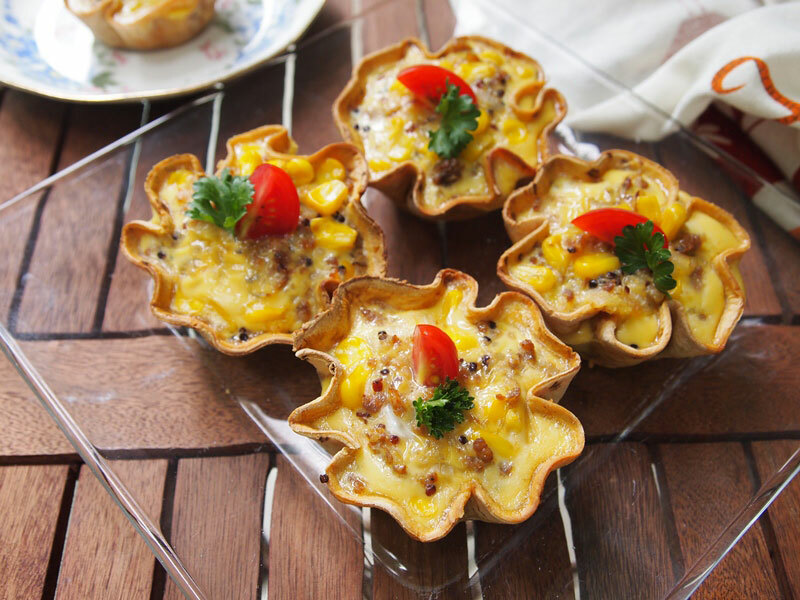 Bake for 4-5 minutes or until the cheese melts. Top each pizza with cherry tomatoes cut in fourths, and avocado slices. Put arugula on top of everything, drizzle with olive oil and salt. Serve immediately. 03 de junio de 2016 at 13:02 01Fri, 03 Jun 2016 13:02:07 +000007. 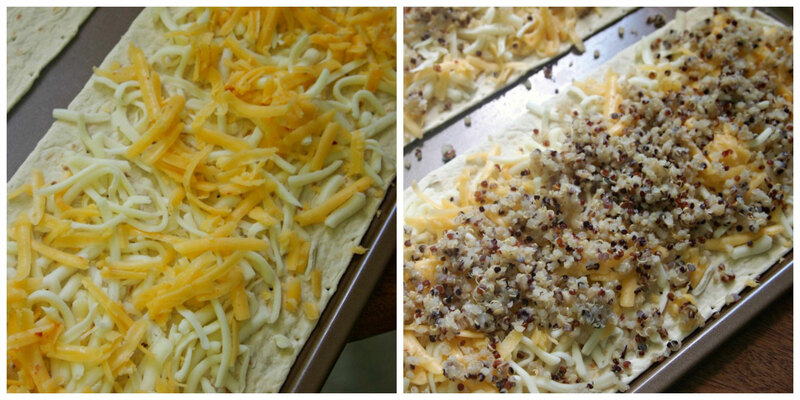 Never would’ve thought to put quinoa on pizza but I bet it’s amazing!! Yum! 03 de junio de 2016 at 19:59 07Fri, 03 Jun 2016 19:59:16 +000016. 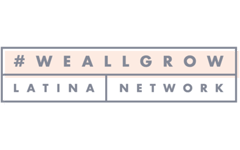 25 de noviembre de 2016 at 18:15 06Fri, 25 Nov 2016 18:15:18 +000018. Let’s do it! So sorry the link is not working! Send us an email with your recipe. Thanks!